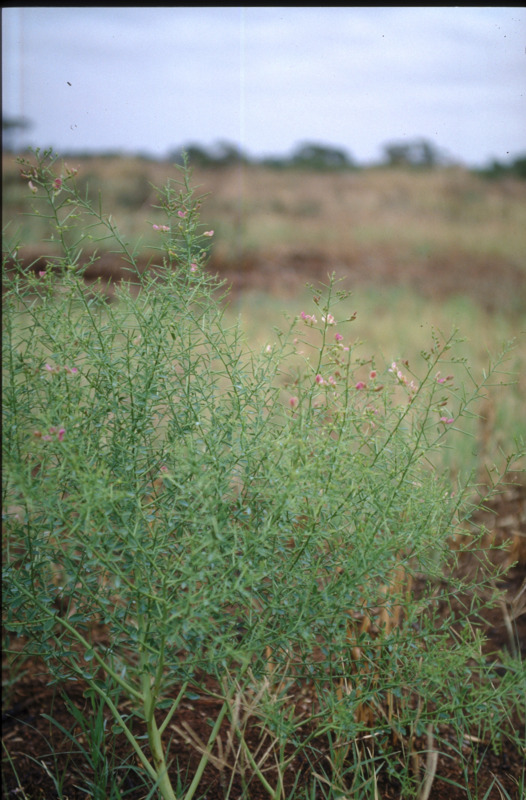 Control methods for camelthorn (Alhagi maurorum) a declared pest in Western Australia. Information about this pest can be found on the camelthorn: declared pest page. 2L/plant of 1:80 Grazon™ DS in water mix injected up to 1m into soil at base of plant has proved effective (Kalgoorlie recommendation). Application to moist soil or followed by rain more effective. Regular treatment using 1:100 glyphosate has been effective to control infestations in residential blocks around Kalgoorlie. Tordon™ 2g granules @ 5g/m2 would also be effective if spraying was not an option because of droplet drift onto nearby susceptible plants.